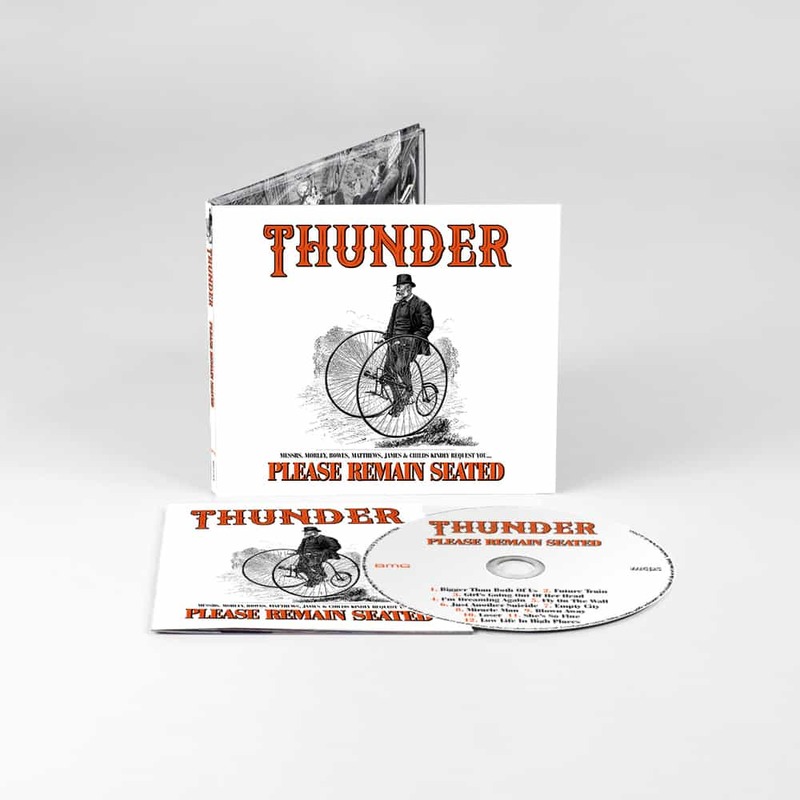 In celebration of their 30th anniversary, British hard rockers Thunder revisit and reinterpret their finest songs in a way you've not heard before. Released in North America on January 18th via BMG, Please Remain Seated is the sound of a band taking a strange journey into their own music, but also distilling thirty years of playing together in order to create something truly compelling, taking in flavors of rock, blues, jazz and soul along the way. "She's So Fine" was the album's first single, and today the band also released a second single/video for the song "Miracle Man". This version of the track has been given a completely new slant and fully underlines the fresh, innovative and daring approach taken by the band during the Please Remain Seated sessions. The video can be viewed below. I'm sure it is fun for the band to do different arrangements, but never seems to top the originals. This, Helloween and Sonata Arctica didn't need to bother. I did not even know these guys were still around. OK song I guess, nothing impressive though.